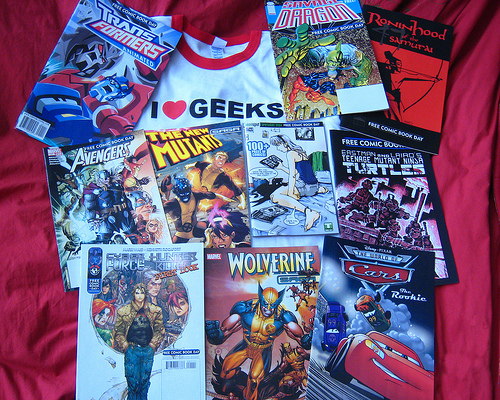 We know that you are all really excited about the 24-hour comic book day coming up on Oct. 2. In case some are behind on their nerd agendas we will fill you in. Comic book day is an event held all around the world at comic book stores and other stores that are, uh, comic-inclined. The stores host artists whose goal is to create a 24 page comic in, you guessed it, 24 hours. At Berkeley, the event will be happening at Comic Relief which is, by the way, THE Comic Bookstore ( no really, that’s what it says on the website ). If you haven’t been there already, it is located on 2026 Shattuck Avenue. This year, Comic Relief will be hosting 12 live artists, scribbling and striving to complete their comics. Though the event does sound nerdalicious (yes its a word), it can be enjoyed by anyone who is into art or even people who hate art — you get to watch tired artists struggle for 24 hours straight. The glorious idea for “Comic Book Day” was the stroke of genius Scott McCloud, who wrote the influential book “Understanding Comics. ” Sophie Yannow, who is organizing the event in Berkeley, said that she imagines that participants will have read the book, but don’t worry you don’t have to. We know we probably won’t, and by probably we mean definitely. So if you want to go, its happening on Oct. 2 from 11 a.m. to Oct. 3 at 11 a.m. — hence the 24-hour thing.